Comments: New and in great condition with no missing or damaged pages. We ship daily except on Sundays. Need it urgently? Upgrade to Expedited. 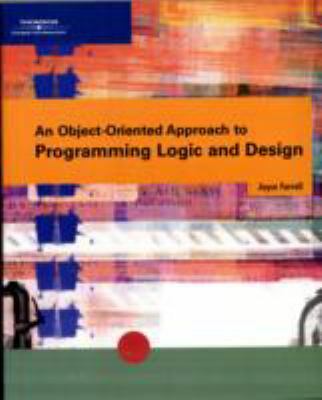 This introductory text takes a language-independent, object-oriented approach to programming logic, the solid foundation needed to build 21st-century business applications and successful Web sites.Farrell, Joyce is the author of 'Object-oriented Approach To Programming Logic And Design', published 2005 under ISBN 9780619215637 and ISBN 0619215631.